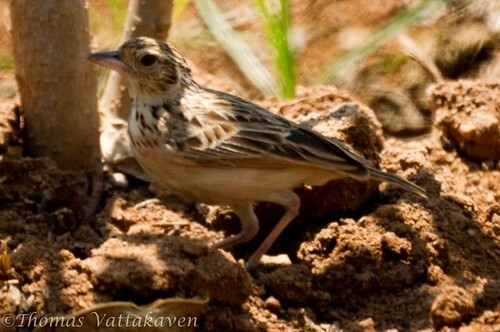 The Jerdon's Bushlark (Mirafra affinis) is a Lark that inhabits the open countryside of South India. 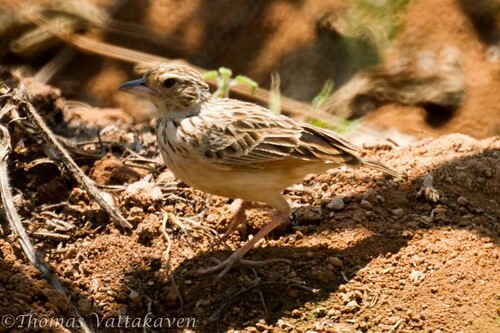 earlier considered a subspecies of the Rufous-winged Bushlark (M. assamica). 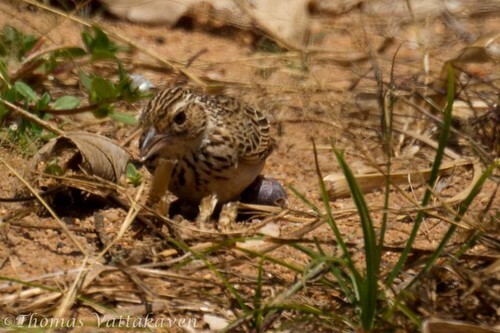 It is also very similar to the Indian Bushlark, but the most noticeable difference is the longer hind toe in the Jerdon’s bushlark. 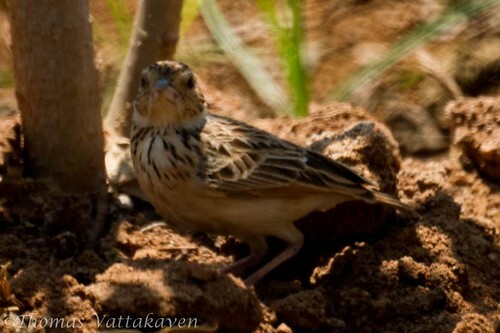 For a detailed compariison of both birds check out this site : thejunglelook. They have a stout bill and short tail. The body is dark rufous streaking and the underparts are buff. They occur in a variety of habitats including forest edges, scrub areas, meadows , cultivated open fields and bamboo thickets. While they are easy to spot when on trees, wires or flying, once on the ground they can be perfectly camouflaged and hard to differentiate from the muddy background.